I’ve waited for a very long time to tell you some exciting news! 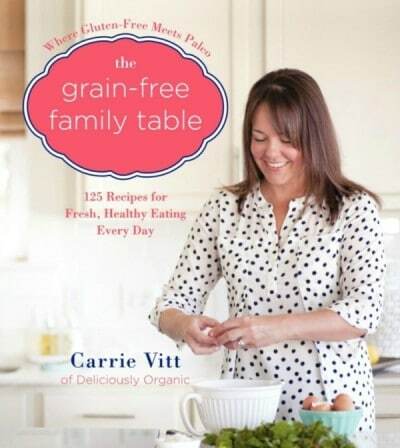 My new cookbook, The Grain-Free Family Table, is now available! 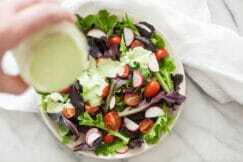 When I was diagnosed with an autoimmune disease (Hashimoto’s Thyroiditis) in 2008, I chose a grain-free, nutrient-dense diet to help my body heal. Over the course of several years, my “irreversible” autoimmune disorder reversed and I’ve gotten my health and my life back. 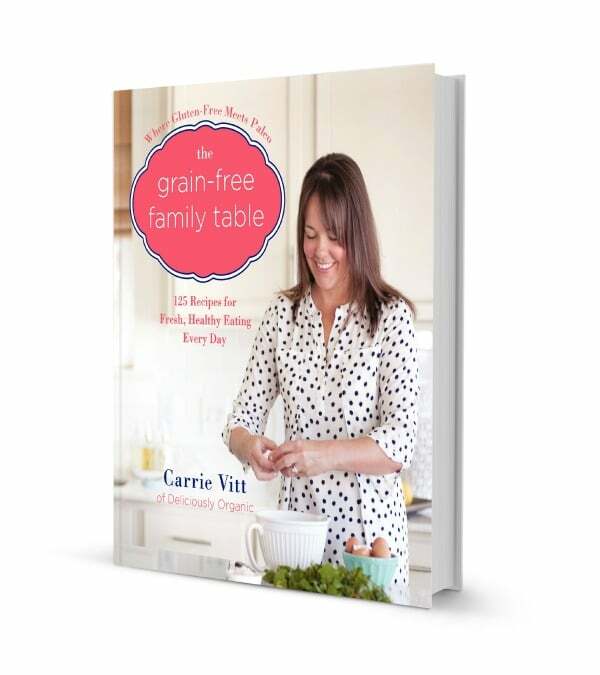 In my new cookbook, The Grain-Free Family Table, I share my entire story of recovery, health tips to help you reduce inflammation and begin recovering from disease, and over 125 grain-free recipes to get you going on the path. In this beautiful full-color cookbook (over 100 photographs! ), I include recipes for everything from basic staples to gourmet dishes the whole family will love. Some of my favorites: Pork Carnitas Breakfast Crepe Tacos, Crispy Sweet Potato Cakes with Cilantro Salsa, and Roasted Garlic Alfredo with Chicken and Vegetables. For dessert you won’t believe the Gooey Cinnamon Rolls, Grain-Free Ice Cream Cones and the Donut Holes with Maple Glaze (they taste like the real thing!). 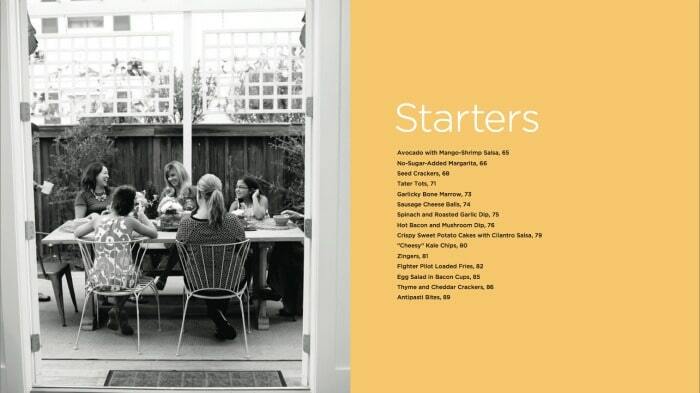 I also devoted an entire chapter to kid-friendly recipes like Squash Macaroni and Cheese, Chicken Nuggets, Grilled Cheese and Classic Birthday Cake with Buttercream Frosting. 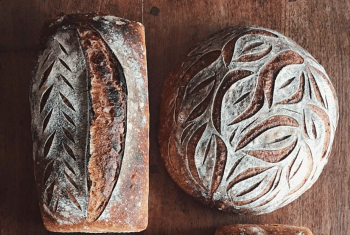 Why Grain-Free Instead of Gluten-Free? And most importantly, throughout the entire book I give advice on how to use nutrient-dense, grain-free food to help reduce inflammation and overcome disease. 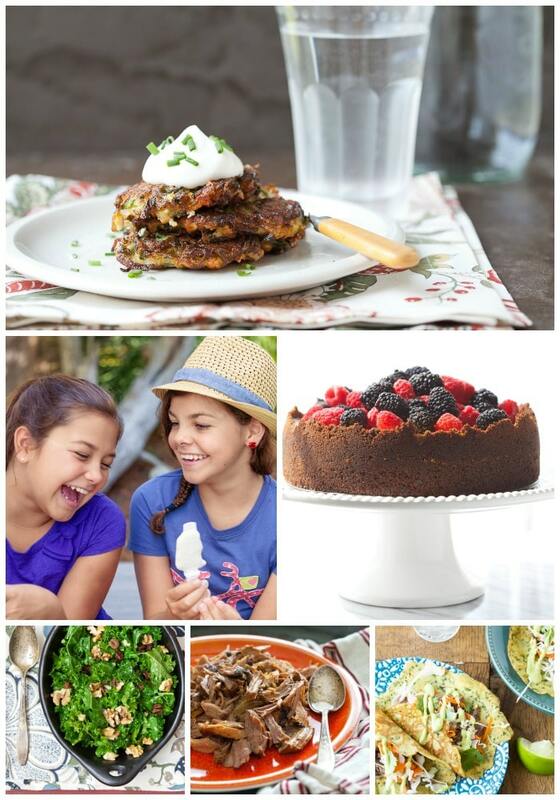 125 recipes have a Paleo/Dairy-Free adaptation so we can all enjoy the recipes no matter our dietary restrictions. Over 70% of the recipes have never been published on the blog. All recipes have been tested by a professional test kitchen. I hope it will become a valuable resource for you and your family! How exciting Carrie! I can't wait to dig into this cookbook! p.s. The photos are gorgeous as ever! I just pre-ordered your new cookbook! Can't wait!! Yum! Although buckwheat is a seed, it behaves more like a grain in the body, so it's best to avoid when struggling with thyroid issues. Quinoa is the same, so I avoid it. My daughter is allergic to quinoa. She was quite sick, vomiting after eating it, three times before we figured it out. It's something nobody ever talks about, but a lot of people have this allergy. Amaranth can cause breathing difficulties in people who are allergic to it, and it can be serous. If you can make a grain-free classic birthday cake taste as good as my "absolutely horrible for you but delicious" one, I'm sold! 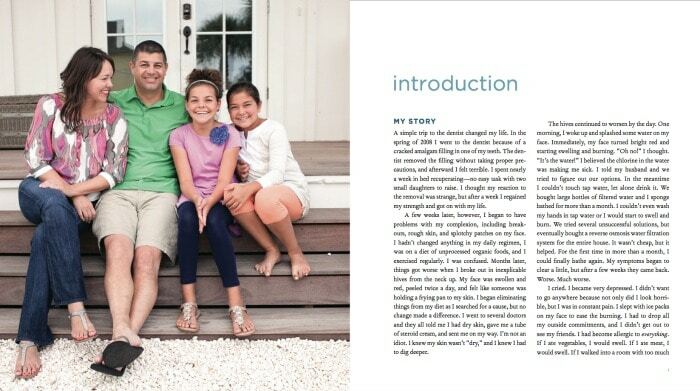 :)I'm off to Amazon to pre-order...I'm glad you included your story in the book! Congratulations Carrie! What a gorgeous book. I did not know about your diagnosis and I find this concept for healing. fascinating. Best of luck. 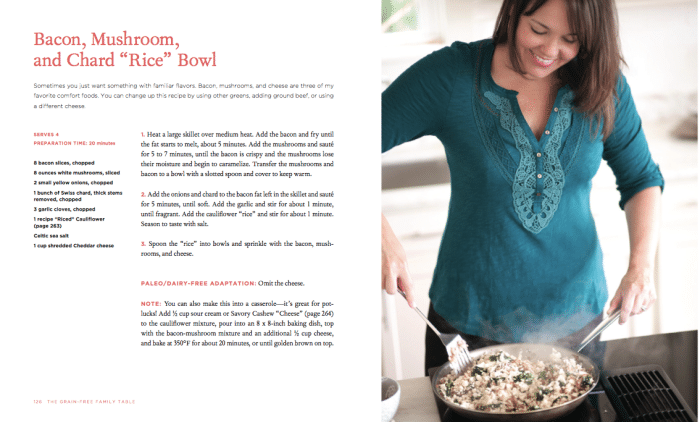 Just pre-ordered your cookbook that I have anticipated for so long! Hopefully we will be on our way to heal autoimmune disease that seem to be plaguing our family. Thanks for all you do! So excited! I just pre-ordered mine on Amazon :) I went grain-free a little over a year ago and I'm always so excited when I find helpful recipe resources like yours. Best of luck! My wife loves your blog. I've been supporting her as she has changed our diets and our lives through food. She has an autoimmune disease and it is greatly reduced now. Looking forward to surprising her with your books.PS - will you be making this book available here on your site? I'm so glad to hear your wife's condition has improved! What a blessing! This book is being published with Harper Collins and will be sold wherever books are, but it won't be sold directly through my site. Your new book looks amazing! Can't wait to check it out. Let me count them and I'll get back to you. Hi there! I am loving my (your) new cookbook! It's wonderfully put together and very easy to use. Thank you! We just made the fluffy pancakes and the directions say, "...pour batter into skillet..." We followed the directions to the letter and our batter is far from pourable. Any ideas? Thanks. 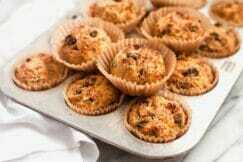 You can use a ladle or spoon to put them in the pan. I'm so glad you're enjoying the book! Write us over at: info@deliciouslyorganic.net and we can give you all the info you need. Thanks! You are so sweet. Thank you for the kind words! I'm so sorry to hear of the health issues you've had to endure. You sound like quite the fighter! :) The only reason I keep up with this blog and write books is to help and bless others, so I'm so glad to hear all of this has blessed you.And on a side note, you really need to read my friend's blog - www.seasonjohnson.com - her son has cancer and story are using conventional as well as holistic therapies to help him beat the disease. 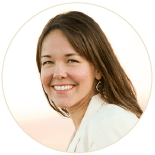 She's a nutritional therapy practitioner and has a wealth of info on her site! Carrie,I love your cookbook! Thank you! I have a question about the tapioca recipes. When you add the tapioca to the liquid how do you get it not to turn to glue? I am wondering if I am not getting my liquid hot enough or of I am stirring with the wrong utensil. I did the pizza crust and it had some "glue" spots and I just made the donuts and not sure what happened but it was all glue like. Thanks! Carrie, does your journey with Hashimoto also include supplement / vitamin regimen? I have been very sick, five surgeries, and have gained 40 lbs over the past 4 years. I have gone from a fun energetic loving, wife, mom, friend and person to someone who spends her days praying for strength to just hold it together. I smile only when people ask how I'm doing, to keep up the appearance of my faith and my hope of beating this thing called Hashimoto that I was finally diagnosed with a few months ago.Ordering your book ASAP, standing on Gods promises and giving Him the honor & glory for my healing. Thank you for being a light by teaching us how to honor our bodies with good nutrition and using your journey with Hashi to help others...May God bless you and yours! Hi there,I was diagnosed with Grave's Disease when I was 14. I am now in my late 40's, and it has been a long struggle for sure. When I was 27 the doctors gave me radioactive iodine which made my thyroid under active, and the struggle to feel half decent has been a long, difficult one. I only wish I would have learned of natural alternatives when I was younger. 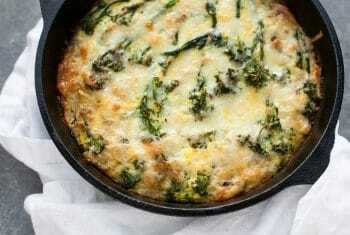 I would like to purchase your cookbook, but I am wondering if enough recipes are autoimmune paleo friendly or adaptable, as almonds, eggs, and dairy are not reacting well with me at this point. If you can let me know, I would really appreciate that. 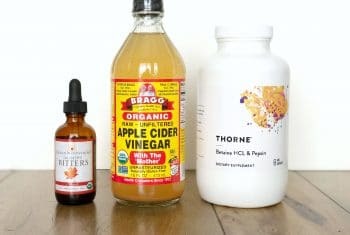 Great job on healing your body! 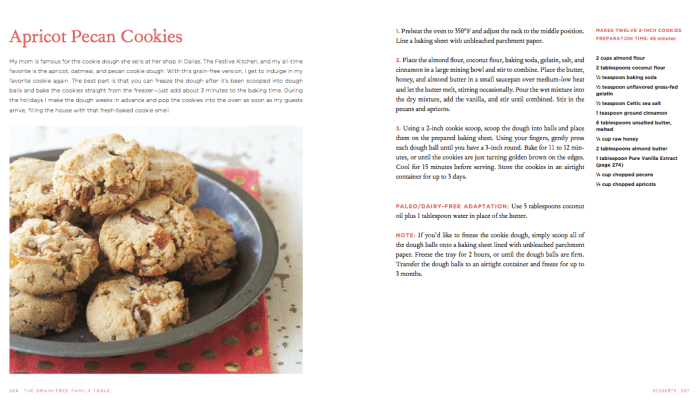 All recipes have a simple Paleo/dairy-free adaptation (if you look at the pic above of the cookie recipe, you can see how I list the adaptation). 114 are nut-free and 87 are egg-free. Hope that helps! I have a question about your pumpkin, currant and pecan breakfast cookies. Are you talking about actual currants, that are tart and come from a bush? Or are you referring to raisins? The majority of the population doesn't know the difference and raisins are actually being sold under the name currant. Thanks! Yes, I am referring to actual currants. I am fascinated and alternately overwhelmed and encouraged by the wealth of information you offer here! Wow! Thank you!I have had Fibromyalgia since 1985 (no one had a clue what it was for years...). That was diagnosd finally in 1990 and was followed by years of extreme pain in longer and longer bouts, until there was not a day without it. My symptoms seemed to change somewhat around 2007, until fatigue was so extreme I could not lift my head from the bed. In 2009 I was finally diagnosed with Lyme Disease, Chronic Fatigue, and failing hormones, thyroid issues, etc, etc, etc... It's been a terrible and long battle. I do believe diet has made a difference, but after a relatively good summer and fall last year, during which time I was able, after fifteen years of longing, to move back to the town I have always considered home. Shortly after that move, I began to feel worse again. 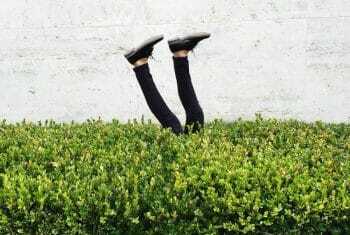 I'm living alone in a tiny place, with a lovely garden, (thank goodness), and have dear and caring, (but busy), friends nearby, but struggle with depression and find it easy to become very isolated. I'm on a long list of medications and am running out of some of them, with no idea how I will be able to afford them any longer. 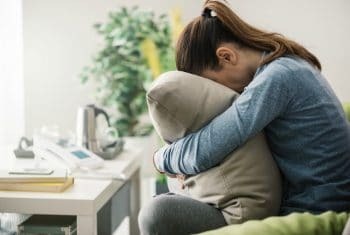 There is not enough serotonin in my blood to measure, and even with antidepressants, I have to take the biologically identical form of it that is compounded by the expert I have seen since 2009... That along with T3, progesterone, and a whole host of supplements for everything from a blood coagulation defect to a severely inadequate immune system. (My family helped me for years, but have tired of it all, and are withdrawing support bit by bit. )(Oh, I hate to sound like I'm moaning!!) I have a couple of questions for you. As a single woman who has very limited funds, VERY limited energy, and only a hot plate, toaster oven (both stored beneath the counter, which makes them verily non-existent most days), and a microwave (doable), a with a small, though not tiny refrigerator, and limited counter space, is your cookbook something I could use?I am having a hard time seeing my way forward, and as I have begun to feel worse again in body and spirit, see my eating habits deteriorating again. It is VERY hard to find healthy things that can be prepared very very easily in very little time! If not your cookbook, do you know of any thT might present easy, healthy meals for one with the limitations I have described?I was discouraged to read about the kale, as I have recently discovered the kale and Brussel sprout, cranberry, and pepita salad in a prepackaged bag, (not the best, but one of my better options, for sure). As discouragement settles in big time, I am a little at a loss...God has brought me this far, and I believe this move was a miracle and blessing He gave me, and that Iwill get through this with His help, but I am frightened about the future. I would be most gratefully open to any suggestions and input you can offer!I just have to get healthy!! Can't wait to buy this book and try all the delicious recipes. In your cook book can you please specify which gelatin you are referring to? I utilize from Great Lakes both the green and the red can and am not sure from your cookbook when to use the green or red can. Thank you! Just bought your book! I love it. Thank you! Wandering about grass fed gelatin. Is this the same thing? Great Lakes Unflavored Gelatin, Regular, 16 Ounce Can. Yes. I use the Great Lakes Unflavored Gelatin (red container) for my recipes. Hi Carrie, I was doing some research on paleo, gluten free, & grain free diets this weekend as I was just diagnosed with Hashimotos 2 months ago, and came across you & your cookbook. The "specialist" put me on a high dose of medicine & told me I will never make thyroid hormone again. I would love to connect with you because I'm wanting to reverse this diagnosis! Looking forward to your cookbook.